Health and Safety Training, whilst necessary and a legal requirement, can be costly and disruptive to business. 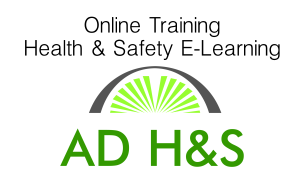 AD Health & Safety have developed a series of online tutor-lead training packages which are approved by nationally recognised training bodies. All courses are very cost effective and can be completed at the convenience of the business, meaning the loss of staff productively is minimal. Register for your online account today and enjoy the first module of each of our courses for FREE.